Spencer Treat Clark is an American actor who gained prominence for his role as Werner Von Strucker on Marvel’s Agents of S.H.I.E.L.D. In 2016, he landed a recurring role of Adrian on the TNT series Animal Kingdom. In films, the actor is known for his starring roles in Gladiator, Mystic River, Unbreakable, The Last Exorcism Part II and The Town That Dreaded Sundown. Spencer Treat Clark was born on September 24, 1987 in New York City, New York, USA. Spencer studied at different schools, including Hindley Elementary School and Middlesex Middle School in Darien, Connecticut. He attended Darien High for his freshman year before he enrolled at The Taft School in Watertown, Connecticut, where he completed his high school education. He earned a bachelor degree in political science and economics from Columbia University in New York City. Though there are no details about his parents, Spencer has a sister, Eliza Clark, who also works in the creative industry. She is a well-known actress, playwright, and screenwriter. Spencer is very reluctant to talk about his personal life to the media, and apparently, he has no girlfriend, according to tabloids. His shoe size might be 11 US. Spencer made his feature film debut in 1995, in the drama mystery thriller ‘Arlington Road’ as Grant Faraday. Prior to that, he appeared in a television film titled ‘It Was Him or Us’ as Jesse Pomeroy in 1995. His first television appearance came in 1995 with a role in a drama-romance series Another World. 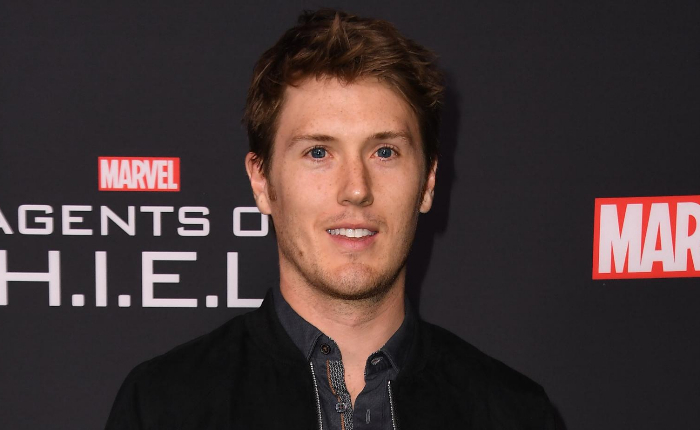 Though he has been in the industry for over two decades, Spencer gained enormous fame for playing the character Werner von Strucker on ABC television series ‘Agents of S.H.I.E.L.D.’ He appeared in five episodes of the series between 2015 and 2018. The actor also gained a lot of attention for his starring role as Adrian on the TV series ‘Animal Kingdom’. He was roped into the series as a recurring cast in 2016 and has since appeared in 14 episodes of the series. Unfortunately, there’s no exact information related to his net worth or salary. He lives in Los Angles, California. Spencer started his acting career by starring in the workshop production of Who’s on Top in his adolescent age before he sprang into TV series and films. In school, Spencer was a member of all-male acapella group, “Oriocos”. He enjoys traveling, photography, and the outdoors. In 2012, he appeared in the film adaptation of William Shakespeare’s Much Ado About Nothing as Borachio. He also starred in Michael Almereyda’s Cymbeline, a film adaptation of Shakespeare’s play Cymbeline. His love for music lead him to work as a junior member of the Symphony for the United Nations (SUN) for many years.